Tim Duffy, K3LR, Chair, Founding Director. Tim was first licensed in 1972 as WN3SZX. He has been involved in most facets of amateur radio, from building and operating an extensive repeater network, to emergency communications, to contesting. Tim has operated most of the major contests as a single-operator, and for the past 27 years has grown his Western Pennsylvania station and team of operators to become one of the top multi multi stations in the world. He has competed in the World Radiosport Team Championship five times, is a member of the CQWW Contest Committee, past Chairman of the ARRL Contest Advisory Committee, and is Chairman of Contest University, Inc. K3LR was inducted into the CQ Contest Hall of Fame in 2006. K3LR is President of the North Coast Contesters. 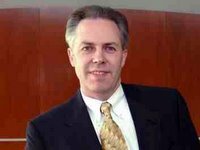 Tim is the Chief Operating Officer and General Manager for DX Engineering. He also serves as a Director on the ARRL Foundation Board. He is past President of the Radio Club of America. Doug Grant, K1DG, Vice-Chair, Founding Director. Doug has been licensed since 1967. He has been active in most areas of amateur radio, including representing the United States five times in the World Radiosport Team Championships. He holds several contest records, both as a single operator, and as a member of numerous multioperator teams and is a member of the ARRL A-1 Operators Club and First-Class CW Operators Club (FOC). 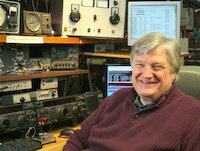 Doug is a past member and Chairman of the ARRL Contest Advisory Committee, past President of the Yankee Clipper Contest Club, member of the CQWW Contest Committee, and a Director of Contest University. Professionally, Doug is a consultant to the wireless and semiconductor industries. Ralph Bowen, N5RZ, Treasurer, Founding Director. Better-known in the contesting world as “Gator”, he has been active in amateur radio since 1969. Proficient on both SSB and CW, he has won numerous contests from U.S. and DX locations, in both single-operator and multi-operator categories. He has competed in the World Radiosport Team championship and had a noteworthy win in the September 2009 NA CW Sprint contest with a Golden Log (zero errors in 352 QSOs). Ralph is a Certified Public Accountant and is retired from the oil industry. He is now living in the Texas Hill Country west of Austin. Tom Lee, K8AZ, Secretary, Founding Director. Tom is an active contester, operating mostly from his home station, located in the state of Ohio. He was won regional and national single-operator and multi-single categories in the major DX contests, overcoming what some consider a significant geographical disadvantage. He maintains a competitive multi-operator station and has hosted and mentored many of the contesters in that region. Tom is a founder and President of the North Coast Contesters, is a member of the ARRL A-1 Operators Club and has been a Referee at the World radiosport Team Championship. When he is not operating on the radio, Tom is a litigation partner in a major Midwest law firm. John Dorr, K1AR, Founding Director. John has been licensed since 1969. 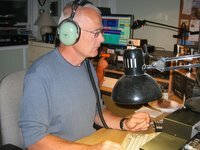 For over 20 years, he has served as Contest Editor for CQ Magazine, and has been a member of the CQWW Contest Committee. 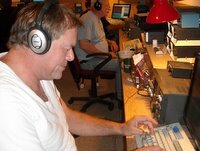 An active contest operator, John has won most of the major contests, including a dynasty-like streak in the CQWW DX Contest. He is a member of the ARRL A-1 Operators Club, First-Class CW Operators Club (FOC), a Director of Contest University, and was a competitor in four WRTC events. John is also a member of the CQ Contest Hall of Fame. John works as Vice President of Business Development for a nanotechnology company. Mark Beckwith, N5OT, Founding Director. Mark was first licensed in 1971 as WN6OTU. 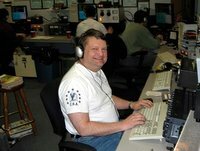 He has been both a successful single-operator at HC8U, K6RR, W6AQ, W8JI, W6UE and his own contest station, and a multi-operator team member at such stations as HC8N, PJ2T, TI5N and PJ4R. He prefers CW to SSB, and enjoys low-band DXing. Mark is Executive Director of Nevus Outreach, Inc., a non-profit organization dedicated to improving awareness of and finding a cure for a specific birth defect, and a free-lance choir director, orchestra conductor and stage director. 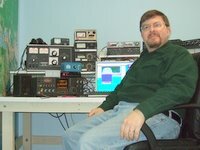 Bob Cox, K3EST, Founding Director.Bob was the Director of the CQ World Wide DX contest for over 34 years. He retired from the CQ WW DX contest directorship in 2012. He is an accomplished operator having won many single operator awards. He has been a member of numerous multi-operator teams including W3AU, K2GL, K3LR, KC1XX, W3LPL, PJ4B, N6RO, and many others. He is a member of the CQ Contest Hall of Fame, and serves as Director of the Contest Hall of Fame Selection Committee. Dr. Cox, a neurophysiologist, is retired from a position in the medical industry. John Sluymer, VE3EJ, Director. John was first licensed as VE3AKG in 1972 and has subsequently held Canadian calls VE6OU and VE3EJ. Active in CW and SSB contesting since 1973, he has participated in multi-operator contests from HC8N, A61AJ, VP2E, K3LR and KC1XX. He has also hosted numerous Multi-Single, Multi-Two and Multi-Multi operations from his home QTH in Niagara. John together with his radio partner VE7ZO have represented Canada in 5 WRTC competitions and were gold medal winners in Brazil in 2006. Partnered with K9VV (NP2X), John also participated in WRTC 2014 in Boston. He also has a keen interest in DXing and has been a part of several Microlite DXPedition adventures to the Sub Antarctic. 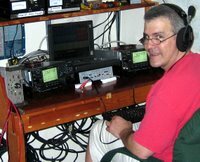 John is the current president of Contest Club Ontario (CCO), a member of First-Class CW Operators Club (FOC), and has been member of the CQ World Wide contest committee for over 20 years. Professionally he is a consultant on the transmission side of radio and television broadcasting. Tine Brajnik, S50A, Director. Tine was licensed in 1963. His primary interest in amateur radio is contesting. Was holder of YU3EY from 1965 –1986, YT3AA 1986-1992, S52AA 1992-1995. Operated at W3AU, PJ2CC, P3AA, A61AJ, P49V, HC8N and others. Participated in all WRTCs, was organizer of WRTC 2000 in Slovenia and is at the present time a chairman of WRTC sanctionning committee. 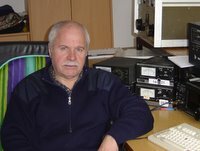 He is president of Slovenia contest club who organizes EU HF Championship and SCC RTTY contest. He is also a member of CQWW Contest Committee. He was elected into CQ Contest Hall of Fame (no. 20). As contester he won many contests of which numerous WAE and CQWW ones on all modes, mostly in single operator categories. He owns a SO2R setup station in countryside location near Ljubljana, the capitol city of Slovenia. Randy Thompson, K5ZD, Director. Randy has been an active contest operator and contributor to the sport since 1973. He has multiple contest records and wins including 11 USA single-operator victories in CQWW. He has served three times as editor and publisher of the National Contest Journal. Randy competed in five WRTC events and was Vice President of the WRTC 2014 organizing committee. He is the Director of the popular CQ WW Contest and a member of the CQ Contest Hall of Fame. When not on the air or checking logs he is in sales management for an Internet software company in Massachusetts. Dennis Motschenbacher, K7BV, Director. Dennis tested for his first license in Southern California in 1962 at the age of 13. Contesting and DXing immediately caught his interest and he has remained very active on the bands ever since, including DXpeditions to over 40 DXCC entities on all Continents. Dennis has many Top Ten finishes in a variety of domestic and international contests using CW/SSB/Digital modes. He is also a very dedicated 6 meter contester and DX chaser. He served as Editor of the National Contest Journal for five years. He competed in Slovenia at WRTC 2000, was Ambassador-at-Large and a Referee for WRTC 2002 in Helsinki and has been accepted as a Referee for WRTC 2018 in Germany. Dennis owned and operated several businesses before becoming ARRL Sales & Marketing Manager in 2006. Dennis is currently Senior Executive Vice President for Yaesu Musen.